The Count and the Cuban Cocktail is a 10+ piece band, playing "Latin Fusion". Eduardo Mendoza is a singer, composer and arranger. Mark Carr-Rollitt brings his many styles to the band... blues, world beat, flamenco guitar, and Gypsy rhythms to name a few. Their new CD is premiering at The Mack. Eduardo Mendoza and Mark Carr-Rollitt joined Karen in the studio. There's nothing like a serenade in a storm. 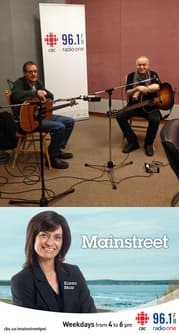 Award winning musician Chas Guay and Chris Corrigan performs live in the Mainstreet studio. Chas's CD "Promises" has been nominated for an ECMA. You can see Chas and Chris performing next Friday night at Marc's Studio. 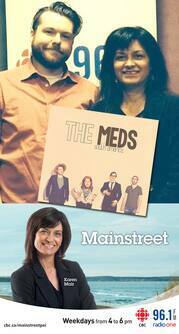 From Matt Mayes to Colin MacDonald - the PEI band The Meds worked with a producer from the Trews on their new CD. 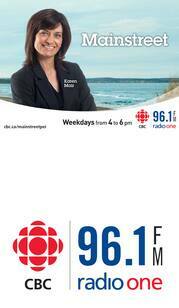 Karen Mair chatted with Iain McCarville and listened to their new CD being launched on May 16 at Hunter's Ale House.